Bottoms Up Yoga designs stylish bags to meet your practical needs while traveling to and from yoga classes. 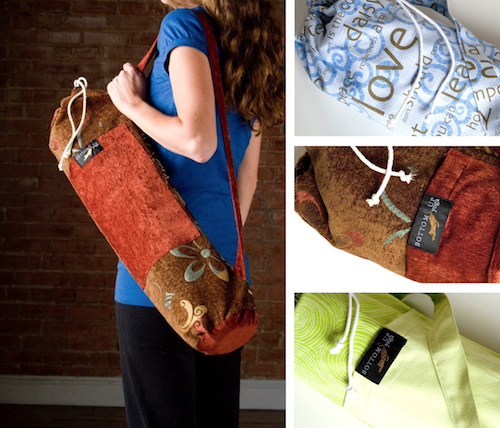 Our yoga bags are handmande here in the USA with only the best designer and organic fabrics. With two sizes available, you’ll have room for all of your yoga props and personal necessities. All bags have a pocket to hold your keys and water bottle. We believe in helping people look and feel good; that an active, healthy lifestyle, combined with a stylish look, can provide a positive outlook that vitalizes metropolitan life.